Quadra-Fire & Heatilator Stoves Convection/Distribution Room-Air Blower. Fits Quadra-Fire Pellet Stove Models. 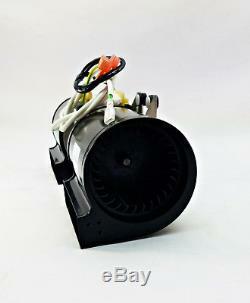 Classic Bay 1200 Insert (CB1200I) Note: The Quadra-Fire CB1200 FS will use a different blower assembly. Castile Freestanding Castile Insert Santa Fe Freestanding Santa Fe Insert Contour. Fits Quadra-Fire Gas Stove Models. (Does not fit the Garnet DV250) Garnet T. Hudson Bay Hudson Bay Insert Columbia Bay Columbia Bay Insert DV400S DV400SL DV40 Step Top DVI25 DVI30 DVI32 GB40 FS (Grand Bay 40) GB40I. (Serial # 253376 and lower). Fits Quadra-Fire Wood Stove Models. 1900 FS 2100 FS (Pre 1995) 2100 Millennium ACT 2100 Millennium ACC. Fits models manufactured before Nov. Does not fit the new 27i-ACC 3100 Millennium ACC 3100 ACC Step Top 3100 FS (Pre ACT) 3100 FS ACT 4100 FS 4300 FS (Pre ACT) 4300 Millennium ACC 4300 Millenium ACT 4300 ACT Step Top 43ST ACC 4700 ACT 57ST ACC 7100 Fireplace. (Pre serial #0091588198) Cumberland Gap Cape Cod Isle Royale Yosemite. Fits Heatilator Pellet Stove Models. 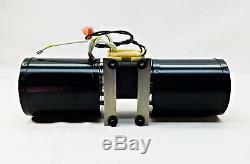 Fits Heatilator Wood Stove & Fireplace Models. Constitution Fireplace (C40) Pre serial #0091535936. Fits Heat & Glo Wood Stove Models. Fits several Quadra-Fire & Heatilator Pellet, Gas and wood stove models. Top Quality Aftermarket Replacement - Exceeds all OEM Standards. Over 25 years of trusted value and commitment to our customers. The item "Santa Fe, Castile, 1200i, PS35 Convection Distribution Room Air Blower AMP-DF49" is in sale since Monday, September 18, 2017.